Beginning it's journey in 2015, fans are hoping the funky alien duo will deliver some 90's style fun next month! ToeJam & Earl came to the Sega Genesis in 1991 and made a lasting impression on gamers and critics alike. It had a few sequels and the original was on the Wii's Virtual Console. Today, many games from the past are making a resurgence on modern consoles. Some games are even getting new releases on classic consoles from their heyday! 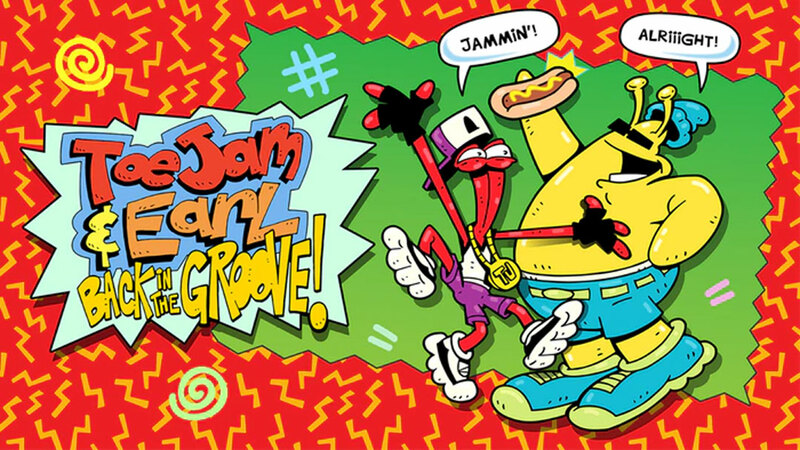 ToeJam & Earl: Back in the Groove is coming to Nintendo's Switch and PlayStation 4 after a long development cycle stemming from a Kickstarter campaign - listing a November 2015 delivery date. So, years later with a few missed release dates, Nintendo and Sony sites confirm the game is coming to Switch and PS4 on March 1st! The game's co-creator Greg Johnson started HumaNature Studios to develop games, but fans soon began requesting a new T&E game. This turned into a Kickstarter campaign for Back in the Groove which would bring the characters back in this new adventure. Fans are hoping for the classic humor and some modern accouterments. On the modern front, there will be online play as well as local co-op for two players. Sounds cool... dying to know if there is a physical release. The iconic '90s duo is back in the groove with all-new presents to help them navigate this wack planet ""Earth"" and retrieve all the lost pieces to the Rapmaster Rocket. Team up for co-op play to discover secret locations, hidden presents and new friends as you make your way through a constantly changing and unpredictable world! 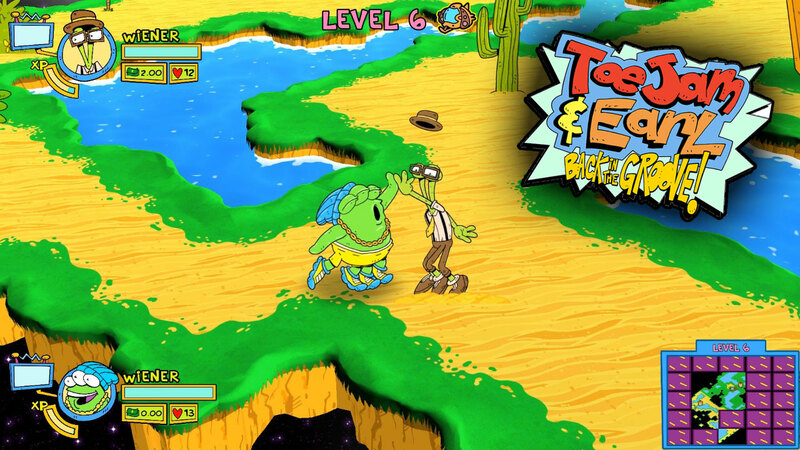 ToeJam and Earl: Back in the Groove! is a mash-up of the very best features of the classic console games with a ton of fresh improvements. Grab some homies and get ready for a blast of funky nostalgia as you help ToeJam and Earl return once again to Funkotron.